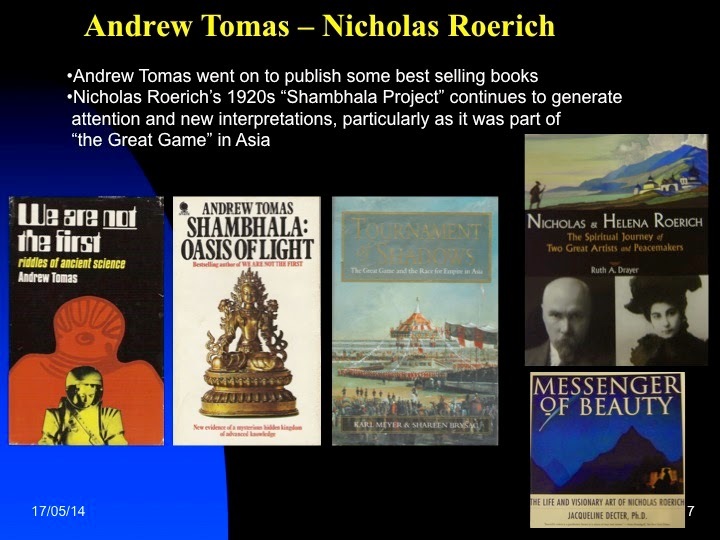 The UFOIC thread has weaved its way from its formal beginnings in 1956 and earlier foundations, through the decades, going through changes of focus and format. Each of these changes contributed to the UFOIC thread, which for me provided the foundation fabric of my own involvement. 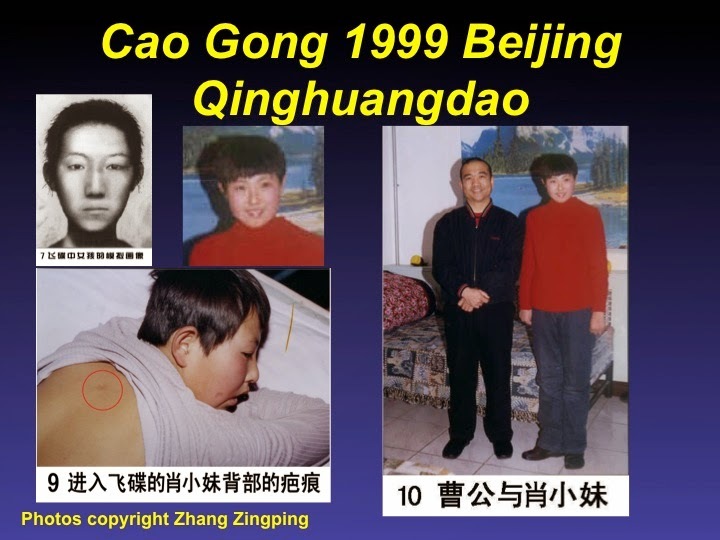 UFOIC has been a backbone of my body of interest in the UFO subject and continues today. 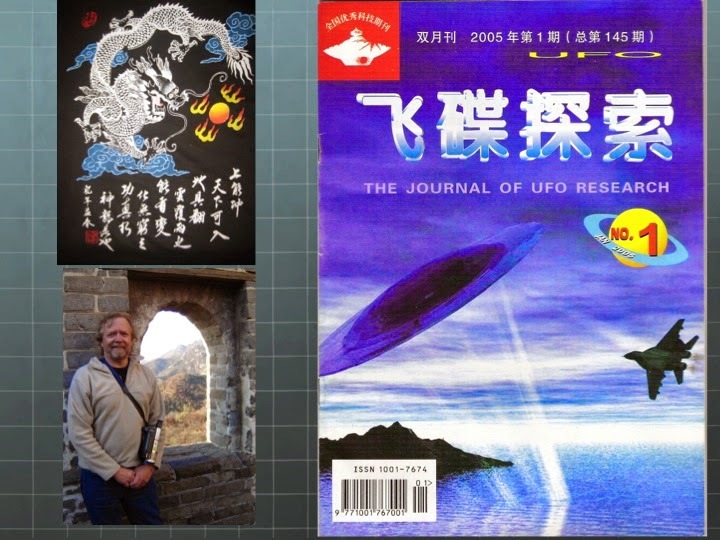 I reflected on my own deep research into the Chinese UFO scene – my East West nexus. 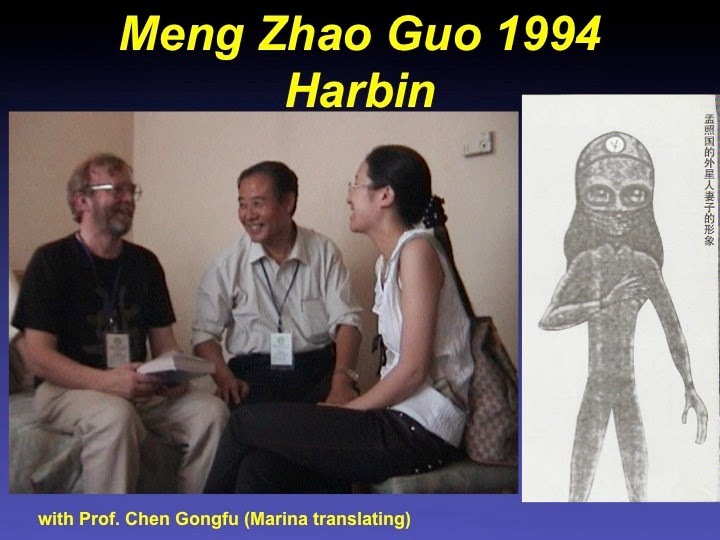 Given my current and past UFOIC connections I pondered this Chinese connection – a “Dragon Seed” – from its earliest manifestations through pioneer UFOIC researcher Andrew Tomas. 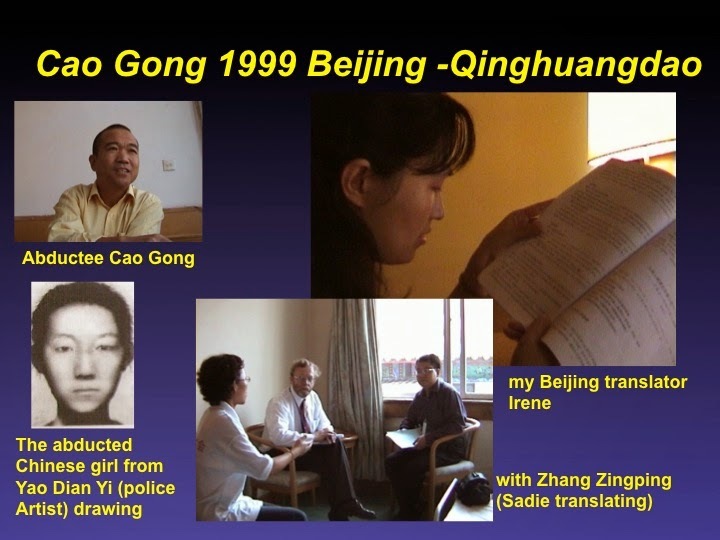 The Chinese and Asian UFO experiences are complex and often steeped in ambiguity and mirages that entrap the casual enquirer. 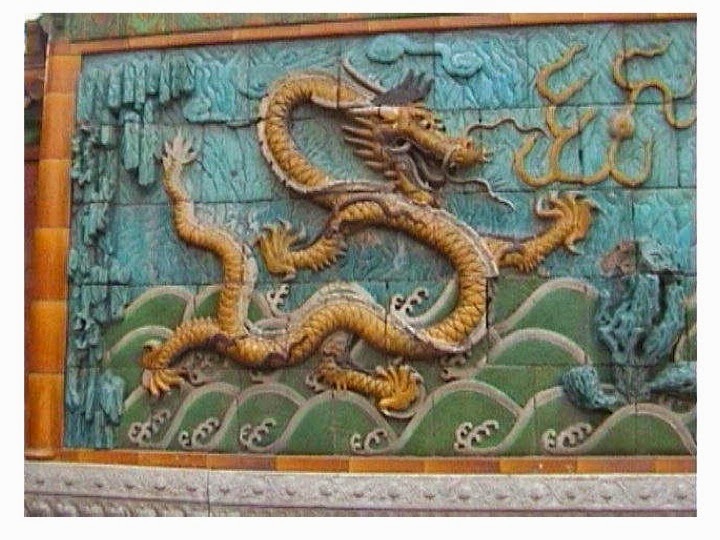 It takes a deep and constant research effort to come even close to unraveling the real story, which in true oriental measure is a reflection of the beguiling mysteries and attractions of that fascinating part of the world. 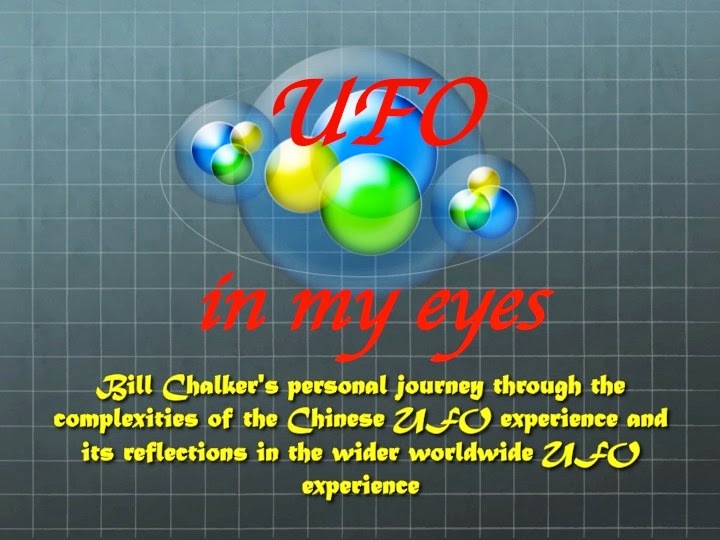 I have illustrated this account from my recent Powerpoint presentation – “UFO in my eyes – Bill Chalker’s personal journey through the complexities of the Chinese UFO experience and its reflections in the wider worldwide UFO experience.” The title came from my appreciation of Xiaolu Guo’s novel “UFO in her Eyes” – a striking satire of some of the problems that haunt China’s extraordinary march to modernization. It was made into a film. 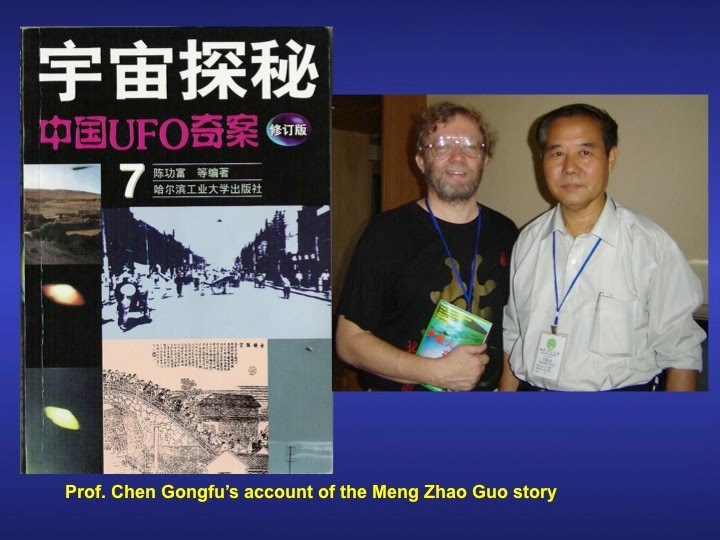 The beguiling Chinese UFO experience continues to attract our attention with its fascinating and extraordinary manifestations. 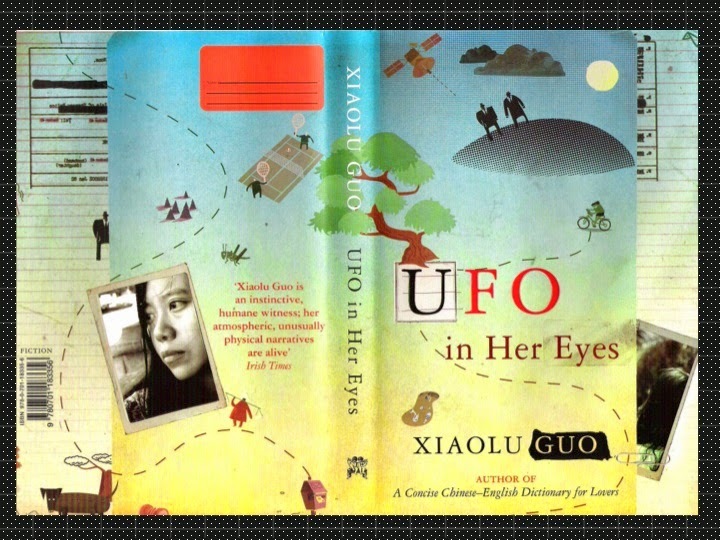 Time will tell just how much it shapes our understanding of the reality of UFOs. "Hair of the Alien" and "Ancient Aliens"